Srinagar: Legislators cutting across party lines today sought sacking of Kashmir’s weatherman Sonum Lotus over his failure to ensure snowfall in the valley. Questioning the performance of weather office, Opposition leader Omar Abdullah said Sonam has failed to take hold of the winter calendar this year. NC legislators thumped the desks with chants of “Shame” as Abdullah talked. 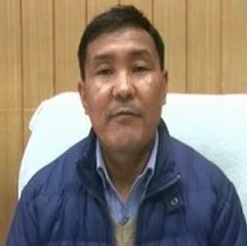 NC heavyweight Devinder Rana said Lotus should be sacked if he failed to predict or ensure snow within 24 hours. “Is he giving the government a fair weather they need to run the government. Because this government is sure to collapse under two inches of snow” Rana said. Independent legislator Engineer Rasheed said the snow was being stopped because of curbs on the Line of Control. “They (BJP) think whatever comes from western borders have to be stopped. Inko lagta hai western disturbances bi infiltration hai (They think western disturbance too is an infiltration,” Rasheed said. “We have reports that they (Indian agencies) even tortured Chillai Kalan while entering the state,” Rasheed said demanding an inquiry into the allegations. However after scuffles with BJP legislators Rasheed walked out in protest. A PDP legislator also joined in demanding that weatherman Lotus be put on notice. A dismayed Lotus told Dapaan that he was being unnecessarily dragged in the matter.